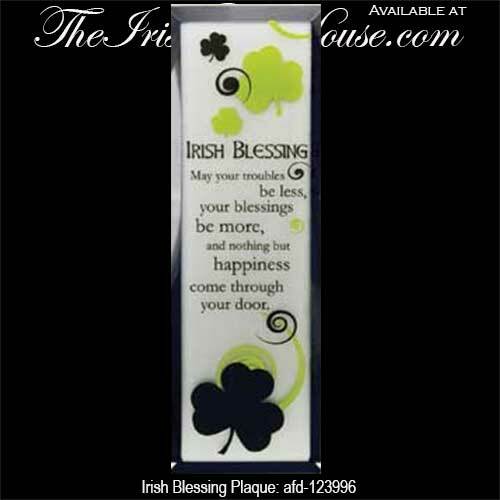 This glass Irish blessing plaque features a traditional message along with lots of shamrocks. This Irish blessing plaque features shamrocks along with beveled mirror edges. The glass Irish blessing plaque is ready to hang or stand with the attached easel backer and measures 2 1/2” wide x 7” tall. This Irish blessing is gift boxed with a shamrock history card, complements of The Irish Gift House.